Passenger numbers increased by 15% last year with an additional 3.3 million people using the airport. The extra passengers was due to 22 new routes and extra capacity on almost 40 existing services. Numbers are expected to continue growing as more new services are rolled out this year. To cope with growing passenger numbers, DAA hired about 170 people last year and a further new 180 employees will be taken on in 2016. DAA Chief Executive Kevin Toland said Dublin Airport is currently upgrading its facilities, with improvements being made to both terminals. Ten new aircraft parking stands will be completed before the summer, and an extension to the Terminal Two multi-storey car park has been added to meet increased customer demand. The airport is also currently evaluating plans for the development of a new runway. 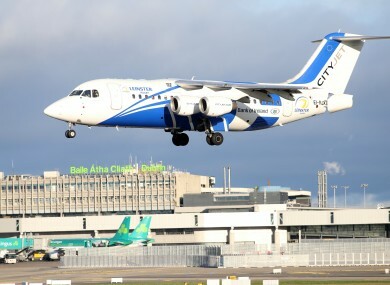 A second parallel runway has been part of the Dublin Airport local area plan since the 1970s. Planning permission for a new runway was granted in 2007, but the project was put on hold due to the recession. Between 2010 and 2015, transatlantic passenger numbers have increased by 66% at the airport and 15 new transatlantic services have been added. Email “Dublin Airport considers another runway (again) as passenger numbers hit 25 million”. Feedback on “Dublin Airport considers another runway (again) as passenger numbers hit 25 million”.